Tarang TV always presented nice and best programs. This year in 2005 Tarang TV has presented the 3rd season of Voice of Odisha which is a singing competition. 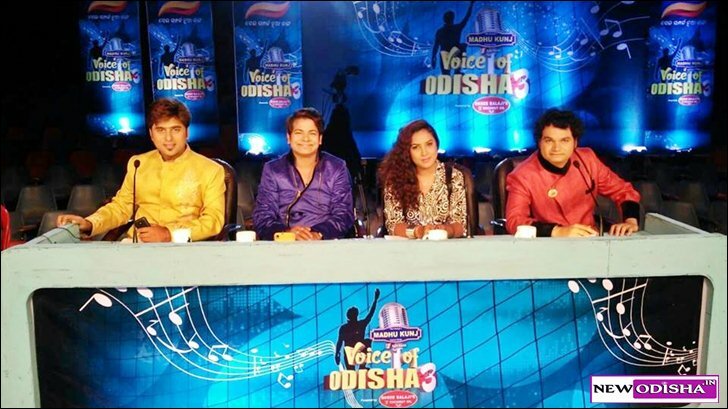 Voice of Odisha season 3 will be telecasted on Tarang TV channel from 23 March 2015 (Monday). See more about the Voice of Odisha Season 3 below and get the full detailed information about the Audition and Telecast time here. It’s heartily request plz discard the host ,she z worst & do overacting always.I love this show but due to this host I dnt know who z she but guys plz teach hosting. I want participate in this competition please give me one chance me then i fill great full to you so much and if i got this chance then i will get a great success in my life my Con No-9437660224.Please please please. 4m a big fan of yours……. Voice of odisha is a great platform for the singers. There is one of my favourite singers in this show. Swayam is a really very gud singer. The songs of atif aslam which he choose suits his voice a lot. I would love to listen ‘kuch iss tarah teri palkein’ from his voice. Please just forward the message. Itz a heartly request. Voice of odisha is really great platform for the singers in odisha. There is one of my favourite contestants and he is swayam. His songs are very nyc. The songs which he choose of atif aslam suits his voice. I would love to listen once the song ‘kuch iss tarah teri palkein’ from his voice. Itz a heartly request. Please forward this message.. It is a good realities show . THAKUR nka prati Tatwaprakasanka upahas ku ye jati khyama debanahin. it is very good oppotunity for odisha and to odisha. Can I know how to register my self for d audition…? When ?? And how. ?.. I want to participate in this competition so please don’t forget to me…. Give Responses for "Voice of Odisha Season 3 New Singing Competition by Tarang TV"